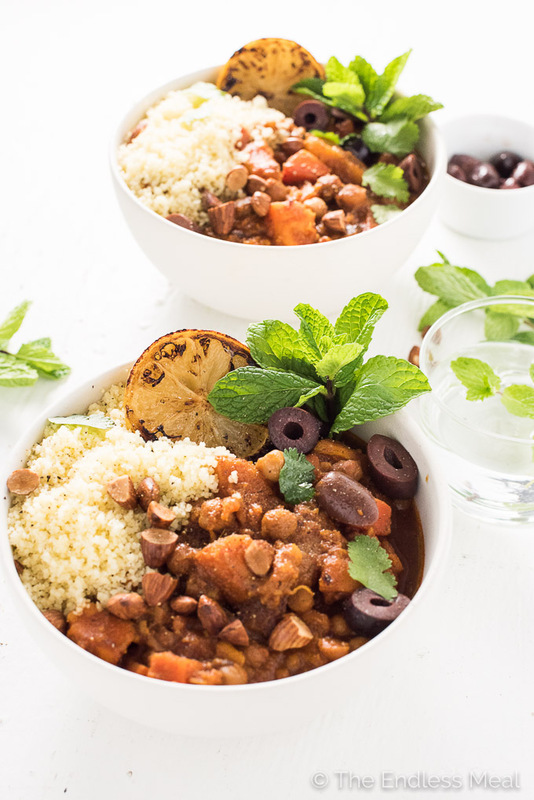 This delicious Crock Pot Moroccan Tagine is an easy to make vegetarian (and vegan!) crock pot recipe. It's loaded with sweet potatoes, carrots, and chickpeas then topped with some crunchy almonds, salty olives and fresh mint. We're taking this whole crock pot thing in a whole new direction today. It's vegetarian! It's vegan! It's a crock pot Moroccan tagine! That was a lot of exclamation marks. I'll settle down now. Promise. 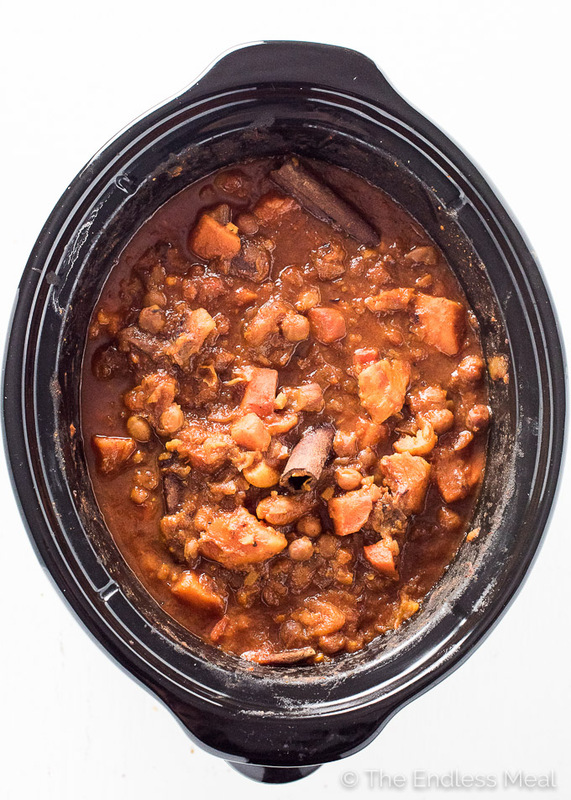 Once a month for the past 5 months, I've been dreaming up crock pot (or do you say slow cooker?) 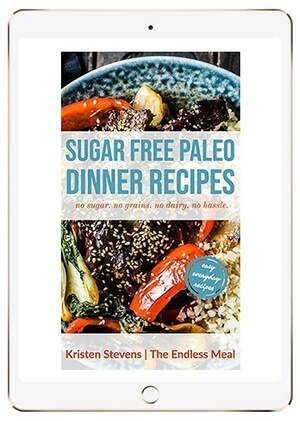 recipes for you. So far, all the recipes have been meat based. Those Crock Pot Pork Tacos with Crunchy Carrot Slaw … man, they were good. Even though meat and crock pots seem to be made for each other, I thought it would be a nice change to try and have a vegan crock pot recipe. Whatdoyasay? 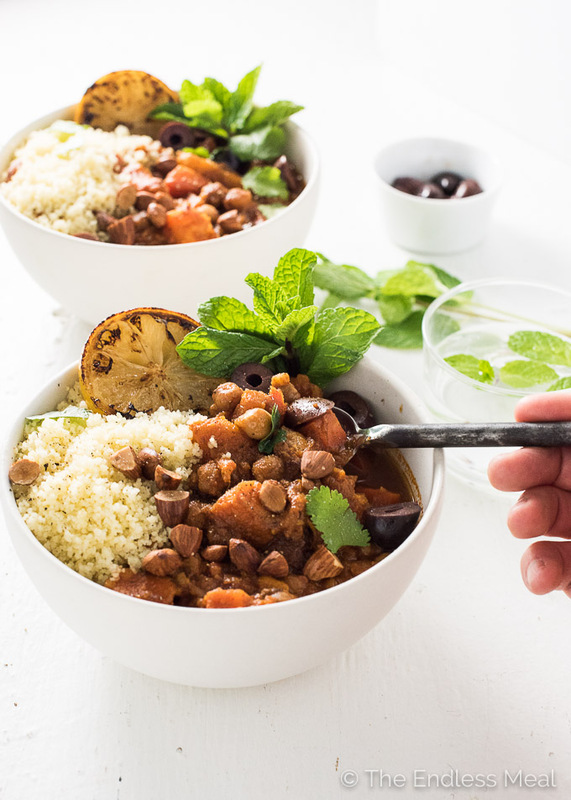 This crock pot Moroccan tagine is made in much the same way a traditional tagine is, only you put everything into your crock pot. It's loaded with sweet potatoes, carrots, and chickpeas that blend together and soften into a beautiful, creamy Moroccan curry. Whatever you do, don't forget to sprinkle some almonds over top. Their crunchiness makes the dish. Back in my early 20s, I travelled to Morocco for a few months. I threw my backpack over my shoulders and set off by myself, as only a young, know it all, wanna be tough chick does. While waiting for 4 days for my luggage to arrive in Casablanca, I made friends with the housekeeper at the hostel I was staying at. She showed me all the great places to eat (Moroccan food is crazy delicious!) and took me to the beach one day. Before I set out to see the rest of the country, she insisted I visit her family in Jamaat Shaim. My instructions were to go to a town called Safi, go to the taxi station, and hand a hand-written (in Arabic) note to the taxi driver. My poor parents got an email from me saying that I was going to some town that I couldn't pronounce to stay with a family who's name I thought was Smiley and to send help if they didn't hear from me in 5 days. I'm so sorry for putting you through that, mom and dad! What could have ended badly (to say the least) turned out to be one of the best travel experiences I've ever had. Moroccan people are known for their hospitality. When a dirty backpacker (me!) showed up unannounced at their doorstep they invited me in, fed me, asked me if I wanted to take a shower or have a nap and then were genuinely disappointed when I left 4 days later. Can you imagine doing the same if some random stranger showed up at your doorstep? Ya, me neither. My experience with incredible hospitality has been the same throughout the Middle East. It's truly mindblowing how many times strangers have invited me into their homes, threw parties and went out of their way to help me. From Morocco to Syria to Iran and everywhere in between are some of the kindest people I have ever met. We can all learn a lot from Arabic hospitality. Like, A LOT! If you want your feel like your food is giving you a giant hug, this is it. It's 100% warm and delicious comfort food. I like to serve it with some couscous on the side (authentic factor!) but you could easily sub rice or quinoa. If you're a meat-eater, you could serve this with some lamb and forget all about the carbs. My favorite part is the toppings. Don't miss out on the olives, almonds or mint! 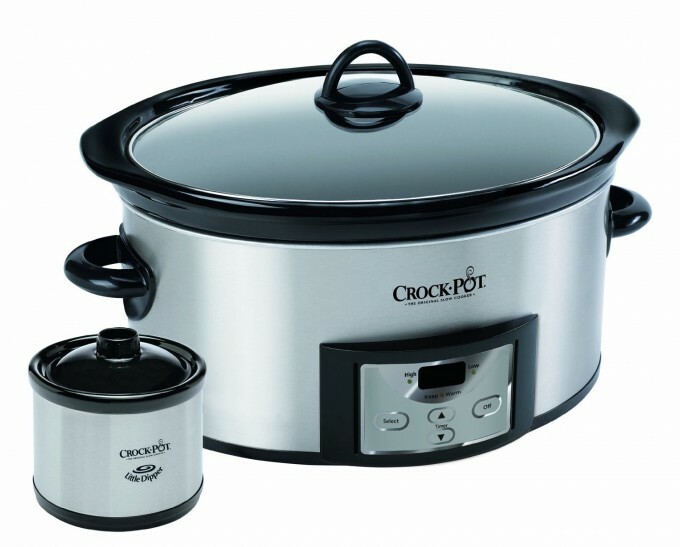 This is the crock pot that I have and love! 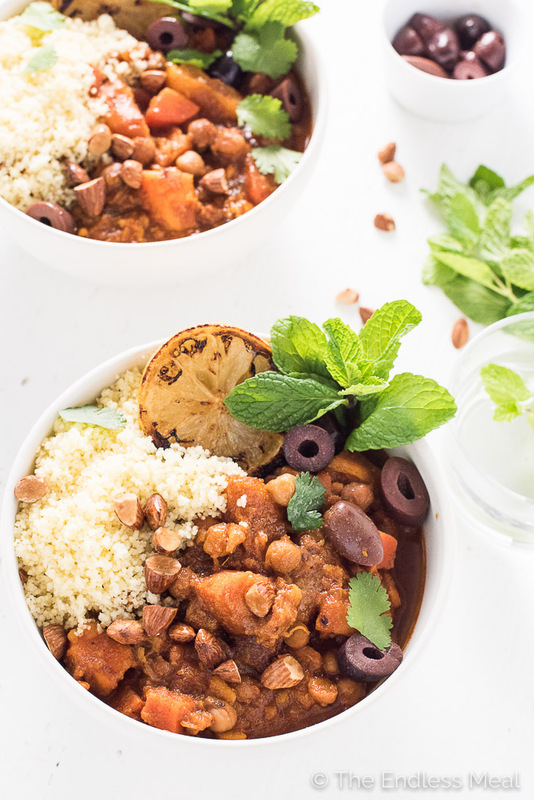 If you make this Vegetarian Crock Pot Moroccan Tagine make sure you snap a pic and tag @theendlessmeal on Instagram so I can like and comment on your photos. I love seeing TEM recipes you create! 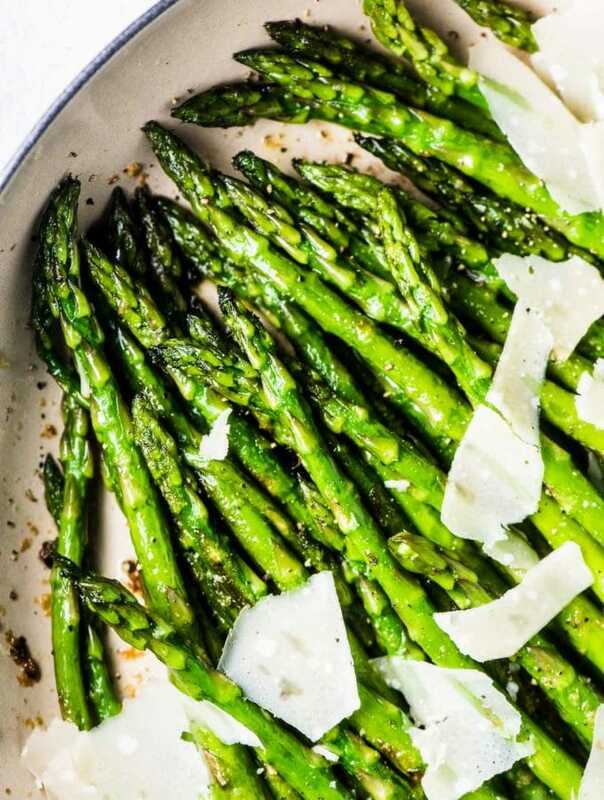 Heat the olive oil in a large frying pan over medium-high heat. Add the onion and saute, stirring occasionally, until it starts to brown, about 5 minutes. Add the carrots and cook, stirring once or twice, until it browns, about 5 minutes. Add the ras el hanout, tomato paste and 1/4 cup of water to the pot and let it cook for 2 minutes, or until the tomato paste starts to caramelize. Pour everything into your crock pot. Add the sweet potatoes, chickpeas (see notes), apricots, dates, ginger, garlic, cinnamon sticks, and 4 cups of water to your crock pot and stir well. Set your crock pot for 8 hours on low. 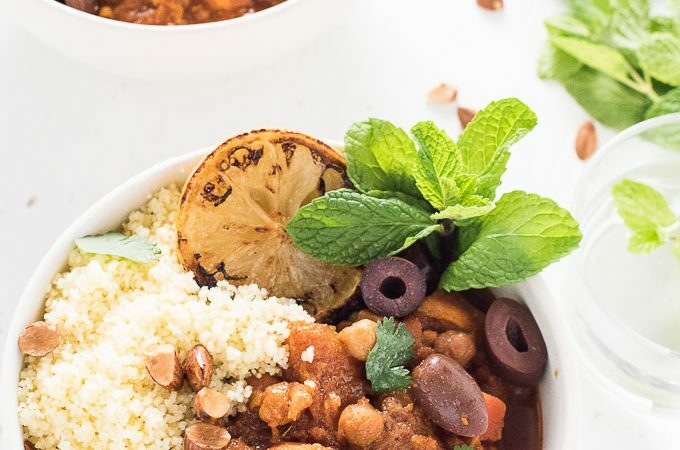 Serve the Vegetarian Crock Pot Moroccan Tagine over some steamed couscous with some chopped almonds, cilantro, mint olives, and a squeeze of lemon over top. When you add the chickpeas to the crock pot at the beginning, they do get quite soft. If you would like the chickpeas to be a little more firm, stir them through at the end to warm them up. In a small frying pan over medium heat, toast the coriander and cumin seeds until fragrant, about 2 minutes. Remove the pan from the heat. Add all the remaining spices to the pan then transfer them to a small blender (a Magic Bullet works great) or a spice mill. Process until finely ground. *The Ras el Hanout will not go bad after a month, but it will start to lose some of its flavour. *I like to double or triple the recipe so I always have some on hand. Ingredients say 1/4 cup water… but instructions say 4 cups water… which is it? Is it ok to add in chick peas that are from bulk section (not canned) straight in at the beginning? Worried they won’t cook properly. I would be worried that they wouldn’t cook properly, too! Unless you’re feeling brave, I would cook the chickpeas first. At the very least, make sure you soak them well. Super! I’m going to try this with my new Tajine plate. I love so much the nice perfume of Ras el Hanout. I have been 3 different times in Marocco, the last in the South in Ouarzazate, Zagora and in the desert the most authentic part actually. I actually tried my first Moroccan tajine at Hu Kitchen in NYC! It was delicious! 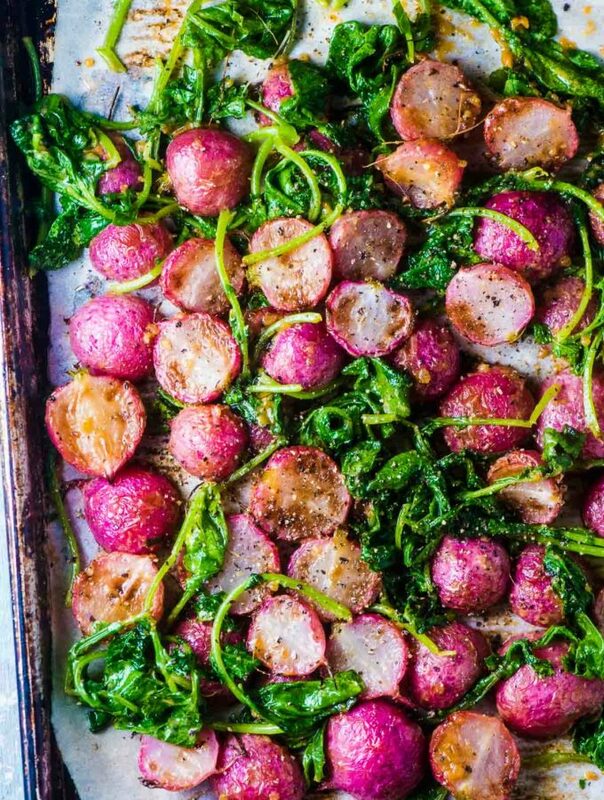 I love that this recipe is vegan and totally easy! Definitely have to try making my own tajine as well! It was such a beautiful place! You should totally go! !